The past few years sports fans especially in the UK, have been caught up in the FIFA buzz and have been absolutely adamant that sports simulation doesn’t get much better. Although I know that Basketball doesn’t have anywhere near the same level of popularity (in Europe), what I can tell you is that in terms of sport recreation into a video game, NBA2K13 makes FIFA look like a bit of a joke. That’s certainly a bold statement but 2K13’s developers Visual Concepts have developed what might very well be, the best sports simulator on the market. Unprecedented realism both visually and through player physics makes this look and feel like the real deal. So if you’re a fan of basketball or can pick up any sports game even if you’re not a fan, then I absolutely urge you to check out this monster of a game. Do you need to understand Basketball to play 2K13; well the short answer really is yes. Does 2K13 show you how to play the game of Basketball; again the answer is yes. Veterans and newcomers alike should hit the training mode as their first step into 2K13 because this is certainly an advanced and difficult simulator to fully comprehend. Advanced offensive and defensive moves, plays, tactics, copious stats, moods, statuses and other factors help key into making 2K13 the height of realism. When you’ve picked up the basics of shooting and defending you’re ready to hit the court and see what 2K13 has to offer. The game isn’t wholly different to last year’s title but enough changes have been made to ensure a smoother and more refined experience. Gameplay on the court look so real that if you walked into a room with this on the TV your first reaction would be to assume a real game was on the TV. Looking a bit closer and the fantastic player, court, bench and even crowd animations make this too good to be true. Even the smallest things like the guy who runs on the court to clean up sweat help make this a true NBA experience. Not only does it look real, but it feels real too. Unlike in FIFA where players all feel similar, 2K13 ensures all players have their own style of moving, shooting, passing and even celebrating. Be it LeBron James throwing baby powder in the air before a home game or Kobe’s insanely accurate jumper, you can clearly feel the difference in each player, resulting in a unique experience for every team. This is emphasized further with key traits for each player. Some players perform better under pressure while other players raise offensive morale. Again these are very similar to the traits in FIFA like ‘complete forward’ or ‘poacher’ and are important in recognizing each player’s key skills. So you’ve given 2K13 a whirl most probably on Exhibition mode, sunk a few baskets and dunked on a bunch of guys – now it’s time to check out the host of game modes present. MyCareer mode allows you to create your own baller and put him through an illustrious career. There’s much more to do here than simply play games though. You begin by playing in a rookie All-Star game and then get drafted into a team. Don’t expect to be a superstar straight off the bat, in fact my first character was expected to “put in a performance off the bench” for the Dallas Mavericks. Similar to Be a Pro in FIFA, your player gets point in a grade fashion by performing well in the role you are assigned to. For example if you’re a Point Guard you gain points for spreading the ball quickly and efficiently, stealing, shooting when appropriate and assisting other players. Turn over’s, missed shots and letting your man score takes away from your points and by the end of the game you are given a rank between F and A+. These grades and your bi-weekly pay slip give you currency that you can then spend on training camps, items and improving your player’s attributes. When you’re not thinking of playing you can use Social Media to raise your players popularity, interact with your team and even sway your General Manager into making certain decisions about the team when your influence is at a high enough point of course. If you’re more of whole-team kind of person than Franchise mode allows you to take control of an entire team and guide them through seasons. You go through the entire Draft process, sign big money players, keep harmony in the squad and balance your finances – all the while getting results on the court. There’s a lot to do in Franchise mode and players looking for an engrossing experience will find this mode highly rewarding. If that’s not enough then 2K13 even offers 3-on-3, running through directly to the Playoffs or continuing to hone your skills in the tutorial mode. Fans of the NBA will be very happy to see a massive roster of teams included in this year’s instalment including many great players from the past. Teams such as the 1992 Olympic Squad and The Showtime Lakers are present with iconic players like Larry Bird, Michael Jordan and even Charles Barkley, who can be pitted against the modern teams for some entertaining matches. 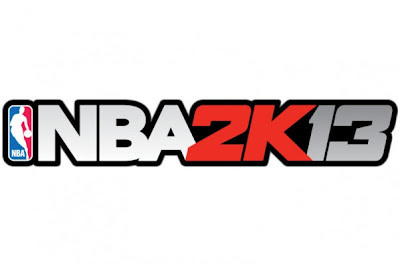 Another new addition to 2K13 is the changes to the controls. The right stick has now been given the privilege to be the advanced ball controller. Players now have the ability to intricately control subtle hand movements to allow for exceptionally detailed and tight ball control and dribbling. Players can perform the basic basketball moves and more advanced ones to recreate very life-like animations that interact with your defensive man to create a truly believable display of basketball. 2K13 continues to impress on the court through the wonderful audio present. Jay-Z co-produced this title and upon first hearing this I was skeptical as to what he could possibly offer. Upon viewing the menus and the brilliant choice in music I have come to the conclusion that Jay-Z has brought style to 2K13. The audio continues in the commentary with awesome banter between Kevin Harlan, Clark Kellogg and Steve Kerr. The commentary feels so accurate down to the smallest of details for every game you play and as a result, is by far the best iteration in any sports game on the market. Ultimately even if you’re not a Basketball fan, it’s very important to check NBA2K13 out just to see how much further behind other sports games really are. This is a truly remarkable representation of a sport that encompasses life-like physics with life-like visuals – there’s really no other way to say it other than this is an exceptional game that must be played if you’re a fan of the sport or at least checked out if you want to know how a sports game really should be made. The most accurate depiction of Basketball combined with a host of different game modes makes this an NBA game you simply cannot miss. So much detail has gone into ensuring every team’s starting line-up feels unique and different and accurate to the real thing. This is sports simulation at its finest and you’d be silly to miss out, even if you’re not a fan of Basketball. While the menus are quite dated and awkward to use, everything else is stylish and sleek. Players are pretty much life-like, clever use of real-world footage from the stadiums combined with the buzzing of players and the coaches on the sidelines – all of these things culminate in making a true game of Basketball. As I stated before, if you walked into a room and saw this on the TV, you would think it’s a real game. Props to Jay-Z for giving this game a cool sense of style. Just like any other sports game, if you get hooked that’s it you can very well end up playing this game for a whole year. Fortunately for you, there’s plenty of reason to get hooked so I’m very confident if you purchase NBA2K13, you will spend a lot of time forging champions and having a damn good time doing so. Sports simulation has met perfection. This is currently the pinnacle of sports video games. 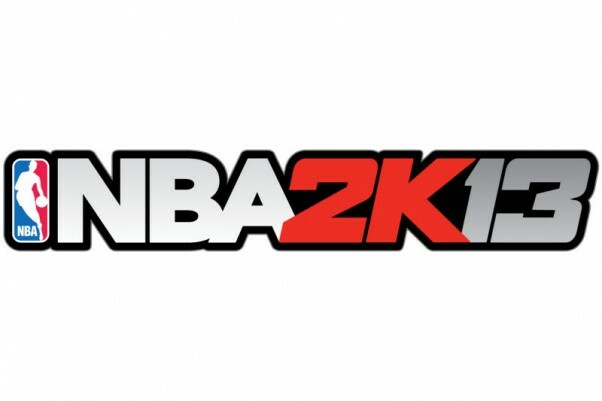 NBA2K13 has it all – incredible life-like animation and physics coupled with beautiful visuals and presentation. This is as close to the real thing as it’s gotten so far.